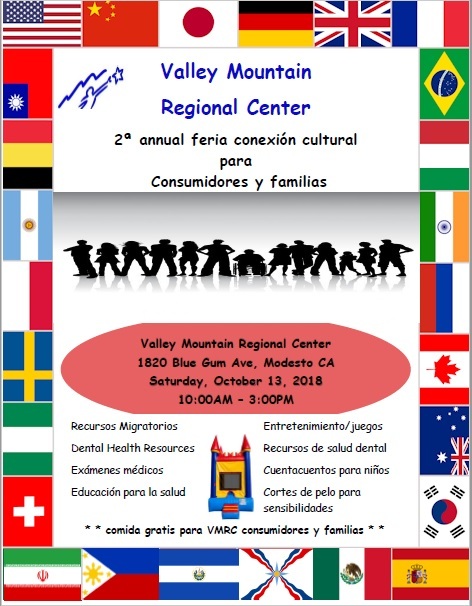 Join us for our 2nd Annual Cultural Connection Community Fair For Valley Mountain Regional Center Consumers & Families. We’re planning on another fantastic day with our community this year at our Modesto office, 1820 Blue Gum Ave, Modesto CA Saturday, October 13, 2018 10:00 AM – 3:00 PM. Don’t forget, we’ll have great food from our food vendors and our consumers and their families receive free food vouchers.